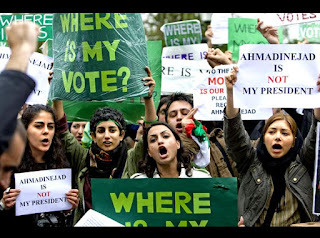 Ambiga Sreenevasan - Unrigging an Election-------Did the opposition in Iran created a movement for Free and Fair Election? Did the opposition has prepared a second plan or alternative to regimes various tactics and plan for the election ? To create a movement or at least to build a national dialogue for a Free and Fair Election is important and a must in a Fair and Free Election . (Paris, January 28, 2016) – President François Hollande and President Hassan Rouhani should raise major human rights concerns in both countries when President Hassan Rouhani visits Paris on January 27 and 28, 2016 Human Rights Watch said today. An agenda of important political and economic issues should not prevent both presidents from raising their concerns. In Iran, these include the death penalty, the abuse of rights of women and minorities, violations of freedom of expression, and the detention of activists and political prisoners. In France, the state of emergency declared by President Hollande extends police powers in ways that threaten to interfere with rights to liberty, privacy, and freedoms of movement, association, and expression. For several years, Iran has had one of the highest rates of executions in the world. Iran applies the death penalty for offenses that do not constitute internationally recognized “most serious crimes,” including nonviolent drug offenses. In many cases, the death penalty has been imposed after judicial proceedings that did not comply with international fair trial standards, some on the basis of coerced confessions. Women are subject to systemic discrimination in various ways, including in access to employment or in legally regulated matters regarding marriage, divorce, child custody, and inheritance. As documented by Human Rights Watch’s #Watch4Women campaign, women are even banned from stadiums hosting competitions such as men’s volleyball tournaments. Violations of freedom of expression remain pervasive, with regular arrests of journalists and bloggers and prosecution of Internet-related crimes by security forces and revolutionary courts. According to the Committee to Protect Journalists, Iran is one of the countries with the largest number of jailed journalists in the world. Suspend all executions of prisoners who have been sentenced to death, often after unfair trials. Count Down 30 Days To Iran's Parliamentary Election …..
(Beirut, January 27, 2015) – Security and intelligence forces were the main perpetrators of human rights abuses in Iran during 2015, Human Rights Watch said today in its World Report 2016. In a sharp increase from previous years, Iran also executed more than 830 prisoners, the majority for drug-related offenses. The authorities repeatedly clamped down on free speech and dissent. Social media users, artists, and journalists, including the Iranian-American Washington Post reporter Jason Rezaian, face harsh sentences on dubious security charges. Freedom of assembly and association also suffered in 2015, with authorities harassing and arresting students, teachers, and labor union members for peaceful activities. Dozens of political activists and human rights defenders are in detention for their peaceful or professional activities. In Iran, women face discrimination in many aspects of their lives, including personal status matters such as marriage, divorce, or inheritance. In 2015, the authorities sought to introduce discriminatory laws that would restrict the employment of women in certain sectors and limit access to family planning. Religious and ethnic minorities as well as refugees and migrant workers face discrimination in Iran in law and in practice. The government denied freedom of religion to Baha’is, Iran’s largest non-Muslim religious minority. Security forces also targeted Christian converts from Islam. The government restricted the cultural and political activities among Iran’s Kurdish, Arab, and Baluch minorities. The estimated 2.5 to 3 million Afghan refugees and migrant workers in Iran face barriers to receiving social services. They are at higher risk than the general population of being arbitrarily questioned and sometimes detained by authorities, with little recourse to the law when abused by government officials or private parties. 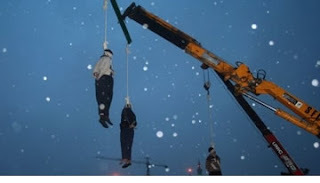 Islamic Regime Has Executed A Kurdish Yaresan Faith ….. 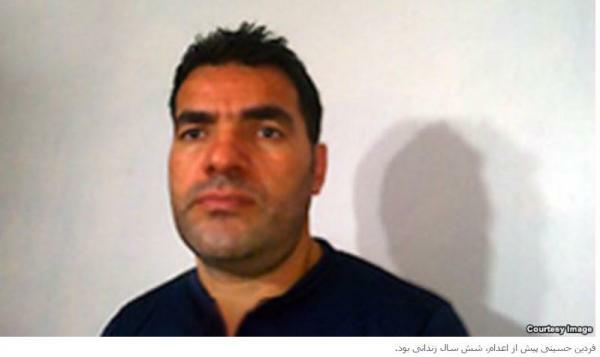 According to news, a Kurdish Yaresan Faith political prisoner from the city of Kermanshah is executed by Islamic regime in Karaj City prison. Fardin Hoseini was 35 years old ,married with one daughter who is 15 years old . On Thursday Fardin was executed in Karaj prison , he was "accused" of killing the friday prayer imam of Hashtgard clergy Abbasali Sabahi Golpayegani . This political prisoner was six years in prison under heavy torture to confess the killing which he rejected repeatedly and denied of having lawyer to defend him. Hashtgard is a city around Karaj and before the revolution most of its population were of Yaresan faith but after the revolution regime decided to build mosque in the city which caused clashes between the people and regime . 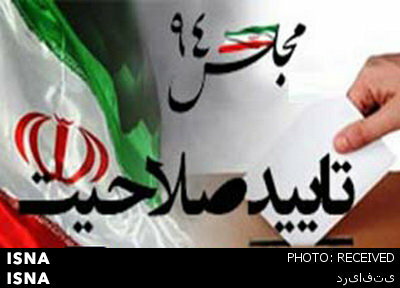 31 Days To Parliamentary and Assembly of Experts Election in Iran ……….. According to ISNA report , and based on the spokesperson of the supervision on election, the credibility of 45% of the candidates were approved. And out of 373 candidates 207 were not approved and 166 were approved . In Tehran alone 37 Candidates were approved and 108 people were disapproved and 105 candidate withdraw from the nomination. TheGuardian Council has approved the credibility of Hashemi Rafsanjani but disapproved the credibility of Hasan Khomeini the grand son of Ayatollah Khomeini. IRAN WATCH CANADA: This election is going to be one of the yet most controversial election in the history of the Islamic regime in Iran after 37 years in power. 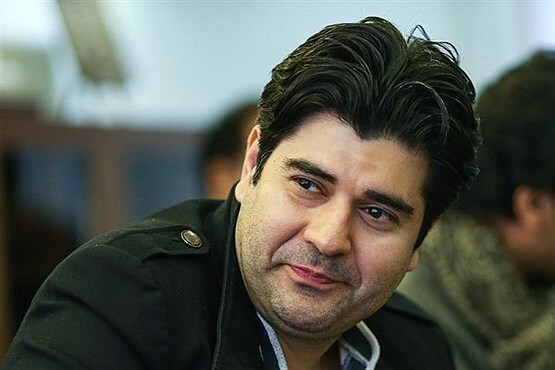 According to news yet another singer Salar Aghili who is known for his traditional vocal singing is banned from the annual Fajr festival because of his interview with Iranian TV station outside of Iran. It was said earlier that Salar Aghili together with his group will perform on stage but according to Amir Bahadori the communication director of the festival his performance has been cancelled due to his interview with Iranian TV station abroad via Satellite . Regime has banned Artists , writers and ….to have interviews with those TV stations located outside of Iran. Iran Watch Canada : Focus On Iran's Election- count Down 33 Days More To Election ……. 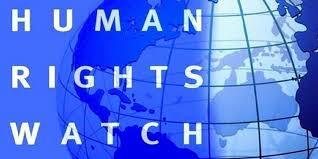 (Beirut, January 24, 2016) – Serious electoral flaws are restricting the rights of Iranians to run for office and damaging prospects for free and fair parliamentary elections on February 26, 2016, Human Rights Watch said today. The Iranian authorities have disqualified the majority of reform candidates based on discriminatory and arbitrary criteria. And dozens of political activists and journalists remain in prison for exercising their rights. On January 17, the Guardian Council, an appointed body of 12 Islamic jurists who are in charge of monitoring Iranian parliamentary and presidential elections, announced the approved list of candidates. According to the Iranian state television channel IRIB News, the council approved only about 40 percent of 12,123 registered candidates. Disqualified candidates could file complaints before the same council within five days of the announcement. The Guardian Council disqualified more than 6,500 candidates although the Interior Ministry’s executive boards, which are in charge of initial vetting, had previously determined that 90 percent of candidates met the qualifications laid out in the elections law. These rules stipulate that candidates must not have a criminal record and must pledge to adhere to the state’s governing ideology of “guardianship of the jurist” and the constitution. The doctrine places ultimate temporal and spiritual power in the hands of the supreme leader, who is supposed to be the country’s most qualified religious scholar. The Guardian Council has arbitrary powers allowing it to disqualify candidates even if they meet the discriminatory criteria stated in the election laws. In recent years, the Guardian Council has expanded the scope of its “approbatory supervision,” using arbitrary measures, including information gathered from undisclosed sources, to disqualify candidates. Among those disqualified are Rasoul Montajabnia, the vice-president of the pro-reform Etemad Melli Party founded by Mehdi Karoubi, one of the two reformist candidates during the 2009 presidential candidates. Others disqualified are Majid Farahani, the head of the pro-reform Nedaye Iranian Party, and Akbar Alami, a former reformist member of parliament. A letter issued by the youth branch of Etemad Melli Party said that the Guardian Council has not approved any of the party’s 10 candidates registered to run in the parliamentary elections from Tehran. Hossein Marashi, the spokesman for the Kargozaran party, also said, in an interview with Insa News agency on January 18, 2016, that none of the 100 members of his party who registered for the elections were found qualified. Documents reviewed by Human Rights Watch show that significant numbers of candidates were disqualified for their political opinions. Several disqualified candidates who spoke to Human Rights Watch on condition of anonymity due to their fear of official reprisals said that they provided all the necessary procedural documents and that their disqualifications were due to their political beliefs or their prior convictions or imprisonments for national security crimes that stemmed from legitimate activities. Under Iranian law, each candidate must demonstrate a “practical belief in the Islamic faith and the sacred order of the Islamic Republic of Iran” and declare loyalty to “the progressive principle of the absolute rule of the guardianship of the jurist doctrine and to the constitution.” The law also prohibits the supporters of illegal political parties and groups and individuals convicted of acting against national security from running for election. A 2005 Human Rights Watch report documented how the election laws prevent candidates outside the ruling elite from running for high public office. During the violent government crackdown that followed the disputed 2009 presidential election, hundreds of political activists and peaceful protesters were arrested, detained, and convicted on national security charges in trials that fell far short of international standards. Some of them, such as Mostafa Tajzadeh, a reformist politician, and Bahareh Hedayat, a human rights defender, remain in prison. Iranian law effectively bars all of them from running for office. On December 27, 2015, Nejatollah Ebrahimiam, the Guardian Council’s spokesperson, stated in an interview with the Iranian Tasnim news agency that candidates running for elections are required to have clear boundaries [separating them] from the 2009 “sedition” – a term used by some officials to describe the post-2009 election protests. 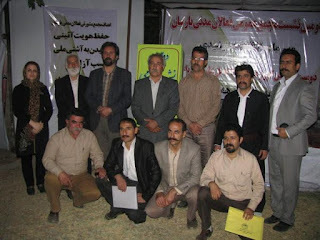 In 2010, a branch of the revolutionary court ordered the dissolution of the prominent pro-reform parties Mosharekat-E-Eslami and Mojahedin-Enghelab, in part because their leaders and members were involved in the 2009 post-election protests. Since 2011, Iranian authorities have kept the prominent opposition figures Mir Hossein Mousavi, Mehdi Karoubi, and Zahra Rahnavard, who is Mir Hossein’s wife, under house arrest without any judicial orders. Human Rights Watch has repeatedly called for the release of these figures, whose detentions were deemed arbitrary by the United Nations Working Group on Arbitrary Detention.
" Yaresan " Population in Iran Have No MP in The Parliament …. Despite of 2-3 million population in Iran ,Yaresan people have no representative in the parliament . They are the biggest population in the country after the muslims . Since the revolution this minority faith based group do not have MP in the national assembly . Recently Yaresan civil society council have released a statement and protested against all the discriminations the regime imposes on their people . Hossein Shariatmadari The Managing Editor of Keyhan Newspaper : The Guardian Council Is There To Prevent The Government Not To End Up in Dictatorship ….????!!!! One who reads this thinks something is wrong with his eyes …so he reads again …and finds out, no he read it correctly …….This guy Hossein Shariatmadari is the Joseph Goebbels of the Islamic regime in Iran, he twist everything to make sure he is an anti people's rights and anti development of Iran towards democracy . Look at this guy very well, he might one day become your neighbour around the world , if he survive and escape the people's justice in Iran. In his recent comments, he calls the Guardian council as the protector of democracy and one which prevent the Governments to end up in despotism or dictatorship. Guardian council recently called 60% of the parliamentary candidates off the list for lack of credibility , of course mostly reformist Islamist. As you may know , Iran and Iranian people face yet another biggest challenge of their political life , bigger than 2009 election fraud in Iran and that is the coming Parliamentary and Assembly of Experts election before the Persian/Iranian new year Newrouz . Iranian people are focused on the coming election and the people reaction to that. Hossein Shariatmadari is the representative of Khamenei in Keyhan Newspaper . He is a hardliner and follows Ayatollah Mohammad Taghi Mesbah Yazdi and His Resistance Front ( Jebheh Paydari ) - All fundamentalists and they supported Mahmoud Ahmadinejad in 2009 fraudulent election . According to Mehr news , Islamic regime in Iran in a new move banned the use of the word " Sharab" ( meaning vine) . The Ministry of Guidance and Culture also banned the use of foreign names for pets . This policy is going to be carried out to make the books and its reading more healthy????!!!!! said one of the officials in the MGC. Mohammad Salgi the official from MGC said; out of 15000 books , 6000 had slight problem and we have told the publisher to correct the issues and less than 500 of the book were banned from publication . 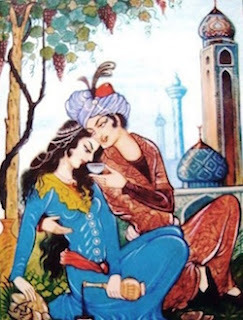 IRAN WATCH CANADA: Imagine the word Sharab ( vine) be removed from the poetry books , i mean from the past and present famous Iranian poets like Hafez, Saadi, Molavi , Shamlou and……??????!!!!!!! These people are nuts . If the above words were said by Sweden or Norway, it was worth to think, but when it's been told by the Islamic Regime in Iran with bunch of fossils like those in the Judiciary , Guardian Councils or Ministry of Guidance and Culture with their Islamic human rights views taken from Quran written 1400 years ago, it becomes like a joke. 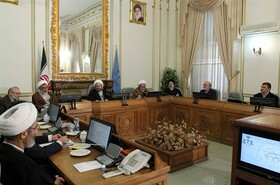 It was in the news that, in a meeting organized by the human rights headquarter of the Islamic regime, Mohammad Sadeq Larijani the head of the judiciary power said;In comparison with Western Countries on Human Rights we have important views to offer but we lacked the efforts and we have shortcomings on political philosophy of the individual rights . We must make efforts to show to the world about the double standards policy of the western countries on human rights and also to show to the world through mass media that we have great respect for human rights or we have protected human rights and have done great work for human rights. However the meeting concluded that , they will look into the situation of drug dealers execution and bring the other cultures and countries to meeting organized by the human rights headquarter of the Islamic regime. Those in attendance in this meeting were: The head of judiciary power , police forces , foreign affairs , public prosecutors , head of prisons , the head of human rights office of the regime and……. We are thrilled to send this quick note of thanks to you for supporting the many efforts, in the US and around the world, to bring Jason home. In December, along with Ali Rezaian, we asked for your support. Today, we say THANK YOU and continue to fight for others held captive, missing or kidnapped. that helps Families of US Journalists kidnapped/jailed. 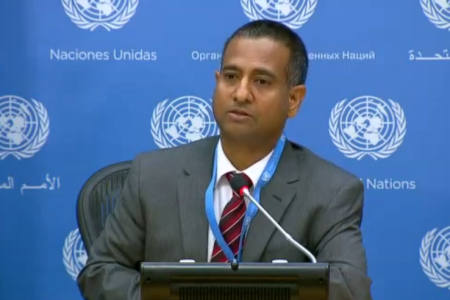 GENEVA (19 January 2016) – United Nations human rights experts today welcomed the Government of the Islamic Republic of Iran’s release of four Iranian-Americans and called on Tehran to pave the way for the release of all remaining detainees unlawfully held in the country’s prisons. During the weekend, Iranian officials announced that four Iranian-Americans, including Washington Post reporter Jason Rezaian and Christian pastor Saeed Abedini and Amir Hekmati had been released from prison in an apparent prisoner swap with the United States. Mr. Rezaian and Mr. Abedini were prosecuted for espionage and other national security-related crimes in trials that fell short of international standards. “For the past year and a half, Mr. Rezaian’s unlawful detention had come to symbolize the Iranian government’s widening crackdown on speech and press freedoms in the country,” said the UN Special Rapporteur on freedom of opinion and expression, David Kaye. The UN Special Rapporteur on freedom of religion or belief, Heiner Bielefeldt, reminded the Iranian Government of its responsibility to ensure that no one is prosecuted or detained because of their religious views or activities, including Christians of Muslim backgrounds. Mr. Abedini was arrested by the authorities in 2012 reportedly for his activities related to home churches. “While Iranian officials allowed pastor Abedini to board the plane and put this horrible ordeal behind him, they continue to hold dozens of Iranian Christians on vague and overly broad national security charges like ‘propaganda against the system.’ These detentions clearly violate not only Iran’s obligations under international law but their own constitution,” Mr. Bielefeldt noted. “I urge them to spare no effort in addressing long-standing human rights concerns repeatedly raised by the UN human rights mechanisms, especially the alarming surge in executions this past year, increasing restrictions on freedom of expression and peaceful assemblies, women’s rights, discrimination against religious and ethnic minorities, and the ongoing prosecution of journalists, lawyers and human rights defenders,” he said. Mr. Shaheed renewed his call on the Iranian authorities to engage constructively and meaningfully with his Human Rights Council mandate by allowing a visit to the country. 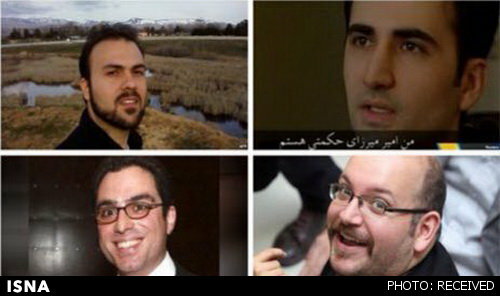 More on The Iranian- American Prisoners Released Today in Iran……. All the defence lawyers confirmed about the release of their client today. According to news these prisoners were released through the frame work of national security and exchange of prisoners. Based on this agreement 7 Iranian national who were arrested on charge of breaking the sanction and were in American prison will be released in US and 14 others who were under the watch list of the US Interpol ( International police ), No longer will be under the watch list . Despite of All International Cry To Stop The High Number Of Execution By Islamic Regime in Iran , Regime Continues The Execution of Criminals Among Them Sometimes Political Prisoners ……. According to news, Regime has hanged four criminals charged with drug trafficking in its Karj Central prison facility on last Tuesday. Karaj Central prison facility is one of the place where regime carries out high number of death sentences by hanging . Regime first takes those who are going to be executed to solitary confinement a few days earlier and then carries out the hanging .The names of these execution is released as the following: Seyed Hamid Hajian, Hossein Tutian Noush, Mostafa Jamshidi and Mohsen Nasiri. According to another news, regime also executed six criminals in its prison facility in Orumieh on last Wednesday morning. 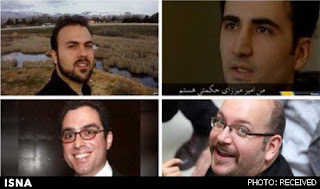 According to Fars News agency - the Islamic regime judiciary has released four American political prisoners including Jason Rezaeian the Washington Post journalist. Fars News wrote: Jason Rezaeian and Saeid Abedini ( The Iranian Prist) were released moments before. According to judiciary reporter of Fars news, Jason Rezaeian and Said Abedini ( the Iranian priest) who had dual nationality were released moment earlier. An hour earlier ,Tehran public prosecutor reported about the release of four Iranian -American who were all dual citizens. It is speculated that, Amir Mirza Hekmati who was in prison for the charge of espionage is among those released. Islamic regime judiciary must release all Iranian political prisoners . Time and time we have seen these types of news that regime has released foreign political prisoners but not the Iranian nationals political prisoners who are kept years behind the bars. Justice and judiciary system under Islamic regime is not only political but also discriminative and biased. 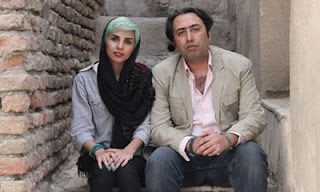 Iranian poets Fatemeh Ekhtesari and Mr. Mehdi Musavi have left Iran due to fear for their life. Both these poets were sentenced to a long time prison term and lashes by the court of revolution. Mehdi Musavi has confirmed this news by speaking with Zamaneh Radio. The infamous judge Moghiseh sentenced them to198 lashes and 20 years imprisonment. Both these poets are charged with insulting the sacred and publication of immoral pictures in internet and shaking hands with people outside the family. Hila Sediqi Iranian Poet : My Jailers Were Transferring Me By Cages From One Location To Another ……. According to news, Hila Sediqi the young Iranian poet said; when she returned on Thursday Jan. 7 this year to Tehran -Iran " Imam " airport from abroad, she was arrested and detained and was transferred by cages to different locations but released after two days by bail. Hila asked from the judiciary officials and civil rights advocates to help the situation of prisoners particularly the political prisoners. She wrote on her Facebook that, she spent the first night at the airports prison facility in a solitary confinement and then she was transferred to Shahpoor prison. She added that, the officials dealt with her like a criminal. 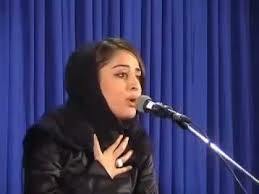 She also said; in Shahpoor prison, she was in a cell with an area of 4 meters and with eight criminals. She said; in 2009 presidential election i voted for Mir Hossein Musavi and in the past i supported the reformists and i don't belong to any political group, party or organizations , i just wanted freedom for my people and development of my country and human rights for Iranian and for the people of the world. Regime's Thugs have killed Another Iranian Student Activist Mr. Peyman Moravati …….. 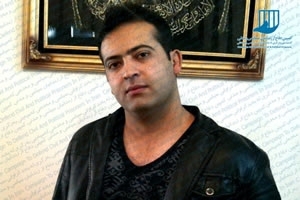 According to news from" Campaign for the Defence of Political and Civil rights Prisoners" , Mr. Peyman Moravati a student activist and electrical engineer was shot by assailant in front of his home at Yakhchi Abad - Tehran on December and died on the two bullet wounds, one on his chest and the other on his head. For continuing his education ,penman was also working in meat industry . In December he noticed a suspicious car with passengers in front of his home and was shot in close range to chest and head and died on his wounds. According to news , at 1:00 AM in the morning of Friday close to New Year, Peyman saw two suspicious car , one in front of his home and the other at the entrance of his alley . Both Peyman and his father went to the door , upon opening the door Peyman was shot twice and his father was also hit by a bullet on his arm and wounded. Because of the sound, the neighbours and his uncle came out to the street and saw the assailant shouting and shooting in the sky. The neighbours took a video and the suspects are identifiable in the video. According to Family members , after noticing the suspicious car and suspects, they have called police for help but no efforts made by police. The family also said, some media reported the event in a wrong way as a revenge type of story , in their story the assailant escaped to the city of Karaj and when the police arrived at the location ,the assailant left the location. My heart goes into fire when i hear this kind of storey of a young man killed with no justice for his killing……Condolence to his family and to all student activists in Iran. The lives of Iranian civil rights and human rights activists including the writers, journalists and labor rights advocates and ……are in great danger and risk as long as the plain cloths agents of sepah and Basij Melitias are protected by regime and the judiciary power ( on Impunity ), and Government has no guts to stop them . As these type of killing continues , president Hassan Rohani's Government does nothing but to keep in silence . The human rights situation in Saudi Arabia has steadily deteriorated over the year since blogger Raif Badawi was publicly flogged for exercising his right to free expression, said Amnesty International the day before the first anniversary of the flogging. The past year has seen the Kingdom’s human rights record go from bad to worse. Most recently the mass execution of 47 people in a single day, including Shia Muslim cleric Sheikh Nimr al-Nimr, sent shockwaves across the region. Despite the much hailed participation of women in municipal elections last month, Saudi Arabia continued its sweeping crackdown on human rights activists and led a devastating air bombardment campaign in Yemen that saw the commission of serious violations of international humanitarian law, including war crimes. “A year after the international outcry over his public flogging, Raif Badawi and dozens of prisoners of conscience remain in prison and at risk of suffering cruel punishments and ill-treatment for their peaceful activism,” said James Lynch, Deputy Director of the Middle East and North Africa Programme at Amnesty International. Among the many people imprisoned is Raif Badawi’s lawyer, Waleed Abu al-Khair, the first human rights defender to be sentenced under Saudi Arabia’s counter-terror law in force since February 2014, after an unfair trial. Dozens more were jailed under the law in 2015, including human rights defenders Dr Abdulkareem al-Khoder and Dr Abdulrahman al-Hamid, both founding members of the now disbanded independent Saudi Civil and Political Rights Association (ACPRA), also after unfair trials. Saudi Arabia continues to ban independent human rights associations and imprison its founding members, with lengthy prison terms for forming “unlicensed organizations”. All public gatherings, including peaceful demonstrations, remain prohibited under an order issued by the Ministry of Interior in 2011. Meanwhile, the authorities have used the 2014 counter-terror law and the Kingdom’s notorious “counter-terror” court, the Specialized Criminal Court (SCC), to systematically clamp down on all forms of activism, including by sentencing to death and executing Shi’a Muslim activists after grossly unfair trials, such as prominent Shi’a Muslim cleric and vocal critic of the Saudi Arabian government, Sheikh Nimr al-Nimr who was executed with three other Shia Muslim activists on 2 January. Ali al-Nimr, the nephew of Sheikh Nimr al-Nimr, and other Shi’a activists Dawood al-Marhoon and Abdullah al-Zaher were all under the age of 18 when they were arrested. All three have had grossly unfair trials and were sentenced to death based solely on ‘confessions’ they claim were extracted under torture. The court has refused to investigate their allegations of torture. “A bloody crackdown on all forms of dissent has seen the authorities uphold death sentences imposed on three alleged juvenile offenders, in egregious violation of international law and based on no evidence other than ‘confessions’ all three activists have said they were tortured to make,” said James Lynch. Saudi Arabia has also led a military coalition which, since March 2015, has carried out thousands of air strikes in areas of Yemen controlled by the Huthi armed group. Hundreds of civilians have been killed in the air strikes, which have also struck civilian infrastructure including health facilities, schools, factories, power facilities, bridges and roads. Amnesty International has found that such strikes have been frequently disproportionate or indiscriminate and in some instances they appear to have directly targeted civilians or civilian objects. Some of the weapons used by the Saudi Arabia-led coalition forces in Yemen which have hit civilian targets, were produced and/or designed in the US and UK. The UK and US governments are also providing logistical support and intelligence to the coalition. “Saudi Arabia’s allies like the USA and UK should be using their close relationships to press the government, including publicly, to improve its human rights record and to comply with international law in its Yemen campaign. Their silence, as they continue to supply Saudi Arabia with deadly arms, is simply not tenable,” said James Lynch. A security officer administered 50 lashes with a cane on Raif Badawi in a public square in Jeddah on 9 January 2015. The 50 lashes were part of the sentence of 1,000 lashes and 10 years in prison handed down by a court in May 2014 for setting up an online forum for public debate and for “insulting Islam”. Further floggings were delayed, initially due to medical concerns and since then for unknown reasons. More than a million messages have been sent in support of jailed Saudi Arabian blogger Raif Badawi since Amnesty International’s Write for Rights campaign raised his case in 2014. In 2015 the campaign highlighted the plight of his lawyer, Waleed Abu al-Khair. 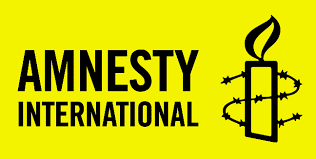 More information about other victims of Saudi Arabia’s crackdown on freedom of expression is available on the Saudi Arabia webpage of Amnesty International’s website.